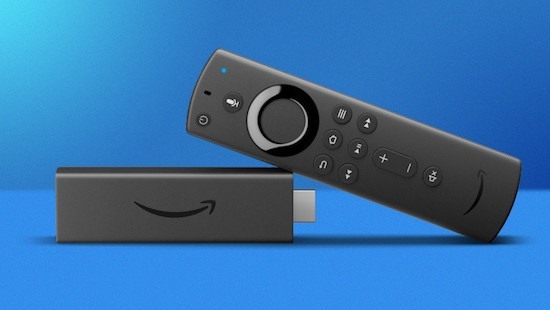 The new Fire TV 4K stick which we talked about in one of our previous videos is fantastic for high performance and HDR support as well as useful Alexa controls. So far so good. My only nitpick was that they took out the native screen mirroring option altogether. What is this? The Last Jedi? You don’t kill something that people love and get away with it. But just like JJ, we’ve got a fix for you. There’s a third-party app that lets you cast your smartphone or your laptop onto your Fire TV stick with all the technologies like DLNA, Miracast and Google Cast. There better not be any Canto Bight in this new JJ’s movie. Let’s see how it’s done. To get started you need to install a third-party application called AirScreen on your Fire TV 4K stick. To do that, first install Easy Fire Tools on your phone and download the apk file for Aptoide TV store, it’s an alternative to Google Play Store which is not present on Amazon devices due to clashes between Google and Amazon. Once you are inside the Aptoide TV store, just do a quick search for AirScreen. Find it and install it on your Fire TV stick and you will see the app icon inside the all apps tab on the front page of your Fire TV stick. Once you open the app, just hit on start to get started. Inside settings, you will find all the casting and mirroring technologies available inside AirScreen like Miracast, Google Cast, DLNA and AirPlay. So, let’s see how you can start using these services first. AirScreen allows you to use AirPlay technology to mirror or cast content on to your Fire TV stick. Once you start the service, you can see AirPlay inside your Mac-based devices or iPhones. On your Mac, just navigate to the status bar and click on the AirPlay icon, a menu will pop up in which you will be able to see all the available AirPlay-enabled devices. Click on AirScreen which will be mentioned as AS-AFMM or something similar. Once you are connected, you will be able to see the content on your Fire TV stick. You can do the same for your iPhone as well. Just swipe up from the bottom and open the control center, tap on the AirPlay icon and choose AirScreen from there, and there you go. Fully functioning AirPlay on your Fire TV stick. Miracast allows you to natively cast many Android devices and you can also screen mirror your Windows devices directly via Miracast. On your Miracast-enabled Android device, just go to Settings and find Cast options, it’s hard to tell the exact location, but I am sure you will find the option after some digging. Once you find the Miracast option, just tap on that, and you will see the AirScreen device there. Tap on it, and AirScreen will be connected to your phone within no time. We tested this on the one plus 6T and the pixel 3, and it works flawlessly. On your Windows device, press WIN+P on your keyboard and select ‘connect to a wireless display.' You'll see the same device here, click on it to mirror your computer to the TV. While you can always watch YouTube via Firefox browser on your Fire TV 4K stick, the thing which used to break the deal was the lack of direct casting via YouTube (like you do in Chromecast). Well, with Google Cast you can enable it on Fire TV 4K stick as well. Just start the AirScreen service and make sure you are on the same Wi-Fi as your Fire TV. Open YouTube on your phone and tap on the casting icon on the top right. You will be able to cast YouTube on Fire TV as well. And that’s not all; you can even screen-mirror your Android device to Fire TV. Just open the Google home app and tap on the bottom right icon then type on screen mirroring and find AirScreen device there. Once you see it, tap on the device name and your screen will be mirrored within no time. You can also cast Chrome tab and screen via Google Cast, just open any web page and click on the three dots icon on the top right and choose cast. Choose a cast tab to mirror the current tab or cast desktop to mirror the whole window. This is how we do it. We’ve also made a comparison of the Fire TV sticks available and best apps for Fire TV 4K. Check them out on our YouTube channel and subscribe. For our next video, we’d like you to choose the topics and let us know in the comments section below, and we'll research them and make more useful videos like these. Also, check out smartdnsproxy.com for a 14-day free trial that lets you unblock geo-restricted content on Netflix, Amazon Prime Video, Hulu, Pandora and many more for just 5 dollars a month. Pummel that ‘Like’ button and see you in the next one.